The year ahead promises better fortunes due to increasing occupier and investor demand, the G9 Group of chartered surveyors believes. In its third annual Sentiment Survey, carried out by Christopher Dobson, senior partner at Dobson Marketing, on behalf of the G9 Group, research shows that confidence has improved in both the occupational industrial and office markets – yet there are issues relating to the provision of much needed new developments, with both office and industrial sectors being held back by a lack of stock. Overall sentiment for the sector scored by the G9 members participating in the survey – BNP Paribas Real Estate, DTZ, ES Group, Gavin Black & Partners, GVA, HTA Real Estate, Knight Frank, Lambert Smith Hampton, Sanderson Weatherall, Sykes Property Consultants and Naylors Chartered Surveyors – was 66%. The score reflects some caution over the issues facing the UK in 2015 and specific regional issues, including lack of supply of Grade A office space and a critically low level of available industrial stock, with limited new stock being built as construction costs are too high. Looking at the strongest and weakest sectors during 2015, the majority of respondents said that industrials would be the strongest sector based on strong growth in the regional manufacturing sector, including Nissan’s supply chain continuing to expand and the supply chain around Hitachi Rail Europe to come on stream. Optimism for this sector comes as a result of the North East’s strong manufacturing scene and a lack of good quality space, which is increasing rents and capital values. There will, however, be up to 250,000sqft of industrial development completed or on stream this year – although G9 said this is not enough to satisfy their backlog of enquiries. Within the office market, take-up during 2014 was above the five-year average and this is likely to continue. The low availability of Grade A space should start to see reasonable rental growth, respondents said, and the growth could see a number of developers considering their sites to start planning for development. 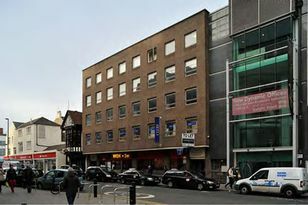 So far projects have required public intervention to assist with funding, some of it innovative such as Stephenson Quarter. G9 now questions who can break the mould and start speculative development with traditional funding. The weakest sector by a clear majority – 78% – is retail, which is seeing increasing competition from online retailers and price cutting due to the growth of the discount retailers. This has already had a detrimental effect upon market towns and sub-centres. High street retail will continue to be difficult with a fundamental shift in the dynamics of the retail economy, together with an oversupply of space and over-renting of many properties, meaning this market still remains very difficult with, in some cases, rental values continuing to fall. However it is not all doom and gloom. While there is some lost ground, major centres recovered and vacancy rates remain low. The survey found certain sectors are very buoyant, such as convenience store development, but that there is generally oversupply in the UK. Over-riding the region’s economy and the commercial property sector are continuing uncertainties due to the situation in Europe and Russia, causing uncertainty in an important export market for the North East. The forthcoming UK general election, the underlying UK budget deficit, falling economic growth across most of the world – particularly the EU – are also concerns. Those surveyed all said the UK should remain in Europe to protect our export trade but only if the terms of our membership can be amended to help ensure a level playing field with other member states. Christopher Dobson, senior partner at Dobson Marketing, carried out the survey on behalf of the G9 Group of Chartered Surveyors. He said: “Within the survey, respondents said much of the North East’s reputation in Europe is a consequence of Nissan’s presence in Sunderland. Since its inception G9 has been consistent in its view about the region and its ability to compete for inward investment. The latest survey continues to underline its doubts. Mr Dobson added: “G9 feels there is a clear need for a regional approach to securing inward investment into the North East. “The availability of premises is a major issue – no one can move if there are no premises. The first Hitachi Rail Europe train for the UK Intercity Express Programme has started its journey and will arrive in the UK in March.